Prime is an great company- everyone is wonderful and professional, and they really go the extra mile to ensure client satisfaction. The food, quality, and service is always amazing, whether is be a private party or corporate event. They are very organized and pros at what they do! I would 100% recommend them for your next catered event! The goto place for family meals. The chicken and roast beef are equally yummy and the Brussel sprouts are a must. Dine in is also very popular at lunch time with a great selection of hot meals and some monster size salads. You'll notice that there are a fleet of catering vans down the side of the shop and based on the quality of food it's no surprise that they need the numerous trucks. Well done Team Prime! Keep up the great quality and service. If you are planning an important business event, it is important to keep things in perspective. After all, hosting an event for your boss, colleagues, and perhaps their families can be a high-pressure situation. While planning such an event, you have to keep the focus on your business goals, all while maintaining a festive atmosphere for your company. You want your colleagues to enjoy the event, even though this will be a professional atmosphere for networking. By hiring a corporate catering company, you may find that these event catering pros know exactly what works for the type of event you are hosting. What are some of the more specific pros of hiring a corporate catering company? A business event is usually much more than a simple luncheon, but it is also less than an elaborate dinner party. If you are in charge, you probably have professional goals to achieve. If you plan on networking at your company’s event, you may want to consider consulting the setup of the room or banquet hall before the date of the event. Corporate catering companies are wizards when it comes to the design of the room. The corporate catering staff can arrange tables and drink stations in a way that allows for more mingling and getting down to business. It is not uncommon for corporate events to offer a wide variety of food choices provided by the corporate caterers. Depending on the time of day of your event, a corporate caterer can suggest a unique menu that allows for appeasing the appetite, as well as your company’s budget. For example, if you are having a company breakfast, you may want many different food options. But for cocktail parties or midday events, an appetizer spread might be more appropriate. If your event is taking place somewhere else, you can also utilize the help of an off premises catering company as well. Whichever route you decide to go, don’t be afraid to ask your potential catering company for their opinion on what you should serve at your company event. Although you may not think that decor is of utmost concern when it comes to a corporate event. However, it does play a role. When it comes to a corporate event, the style is usually a lot more subdued than that of a grand or emotional event. The caterers will absolutely keep this mind when planning out the decor for your business event. They know that this isn’t wedding catering, so they will provide a more professional atmosphere for you and your colleagues. As with any event you may be planning, budget is always a consideration. If you are planning an event for your business, you are likely spending your company’s money. 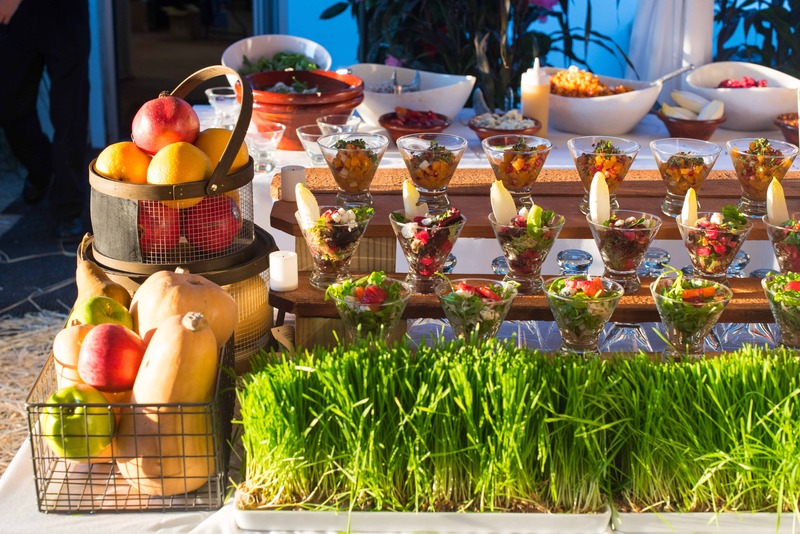 Think ahead about what kinds of food you would want for your company’s event. This will help you decide on how much money should be spent. It is also important to tell your potential catering company what you have in mind as far as your budget goes. They will always provide suggestions as far as food goes so you do not go over budget. It may seem like an overwhelming task to host a corporate catering event. But with the help of professionals, you can accomplish this goal. If you are interested in hosting a business breakfast, luncheon, or cocktail hour, please get in touch with the team at Prime Catering. We proudly serve up some of the most professional events for any of your Long Island catering needs!